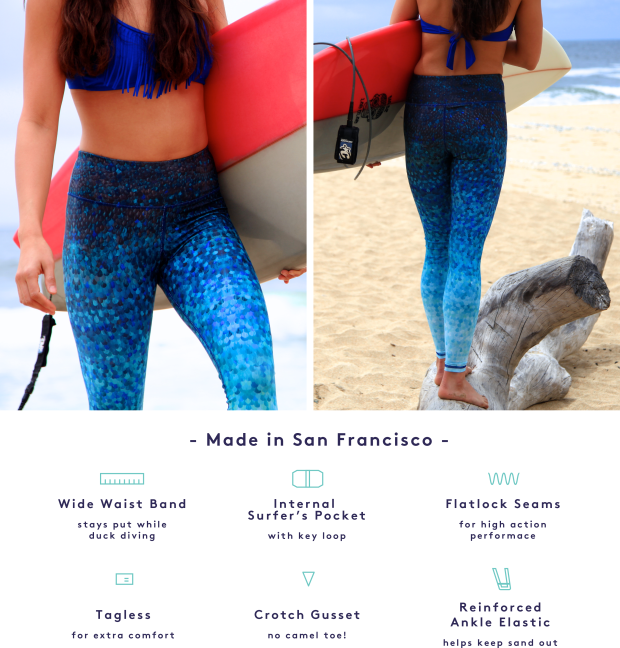 Overview: Multi-functional, beautifully designed, maximum UV protection, surf and yoga hybrid leggings to take you from sea to street to studio. The model has, like, no Glutes! All that Yoga . . . she needs to squat! !